bowl discovered at Vulci, Viterbo. The use of iron oxide, or "rust" as it is commonly known, as a pigment is ancient. In fact, it is one of the oldest colorants in human history. It is found in the earliest cave paintings and in shells and cups as a residue of body paint, used by peoples who lived tens of thousands of years ago. It is found as solid minerals and also as iron rich clay, occurring in many variations, taking the colors of red, yellow, orange, green, grey and black. In the Iron Age, workers learned to produce some of these oxides directly, as byproducts of the forging process. Of course, until relatively recently it was not known that these were "oxides," only that they were colorant materials associated with iron. The three most common forms all occur as dark grey or black mineral, but each possesses distinctive properties. "Wüstite" (FeO) is often found in meteorites, "hematite" (Fe2O3) forms a red powder when scraped, appearing to bleed, hence the name and finally, "magnetite" (Fe3O4), which is magnetic. These oxides can occur chemically bound with water, as mixtures and in different crystal structures, forming a family of compounds. 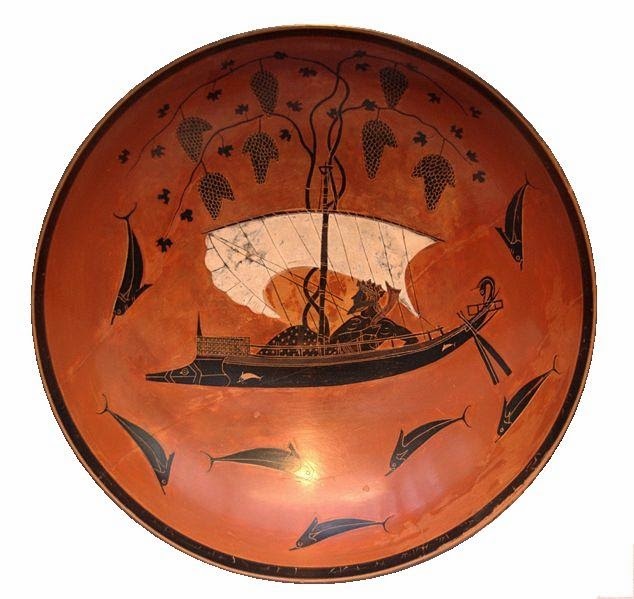 The iconic red and black pottery of the Greeks was colored with iron oxide; the red (or orange) was hematite and the black was magnetite. Chinese "celadon" glaze is a green-blue that resembles jade; it is derived from an iron oxide (FeO), which does occur in nature as wüstite, but in this case forms chemically in the potters kiln. This second way to make crocus martis although very easy should not be disparaged, but rather highly regarded, since crocus produced this way causes the glass to appear a rather bright blood red. The way to make it is like this: Obtain some iron filings, although steel is better if you are able to get it. Mix it well in a terracotta oven-pan with strong vinegar, which is sprinkled only until it is moist throughout. Now spread it out in the pans, and put it in the sun to bake. When the sun is clouded, leave it in the open air to dry. Now turn it into powder. If it leaves any hard lumps, sprinkle and moisten them with new vinegar, leave it to dry again and then pulverize, as above. This work should be repeated eight times, then grind and sift it through a fine sieve, which will make a very fine powder the color of brick dust. Store this in well sealed vessels for use in the coloring of glass. From this prescription, we can guess that he was producing a mixture of hematite and iron acetate. 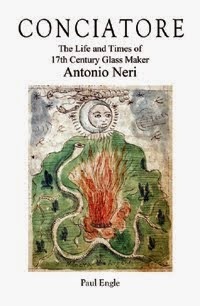 The fact that iron does not appear as a red pigment in other glassmaking references makes his statement something of a mystery, perhaps to be solved by engaging our glassmaker's own favorite activity: experimentation.